Sharon fruit is a bright option for many dishes. 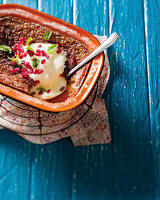 It adds colour and sweetness to desserts and savoury recipes. 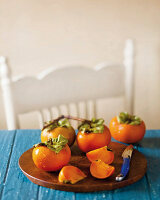 Golden Sharon, a variety of persimmon, originates in the Sharon Valley in Israel. 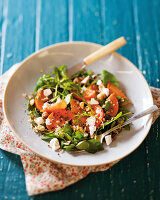 It is rich in vitamin B2, vitamin C and antioxidants, which help to protect against heart disease. 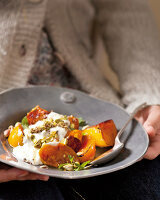 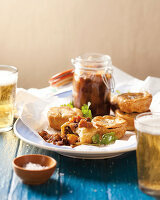 This recipe collection features Sharon in a salad, chutney and dessert.